Get moving again with a sturdy wheelchair that is lightweight and extremely portable. 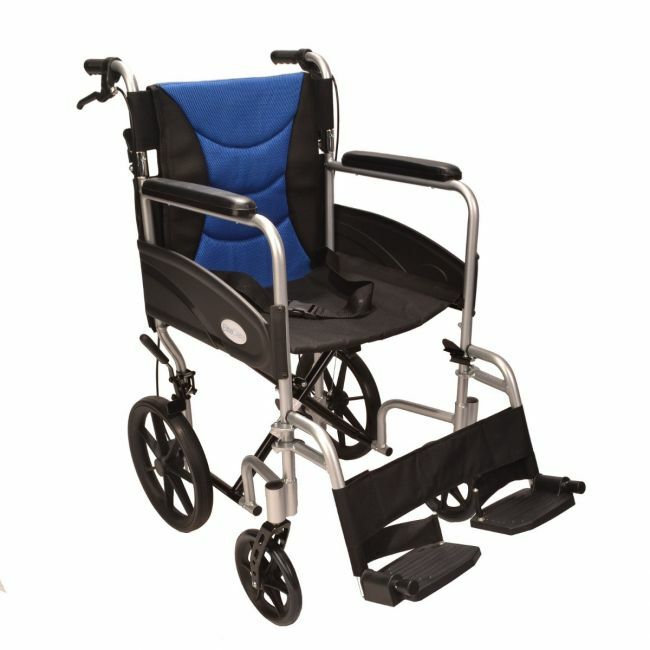 The ECTR07 ultra lightweight folding transit wheelchair is light in weight but not light in features. The folding aluminium frame makes storage and transportation easy, with plenty of comfort provided by a removable padded backrest and adjustable leg rests.